AscendTech - Carrier Access ADIT3504-4 Genuine Original Carrier Access 3500 Series 3504-4 CSU/DSU IP Business Gateway High Performance Router with Power Supply 3G-301DN13 ADIT3504-4 035-0347-0002. 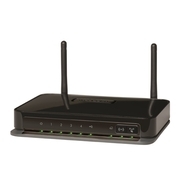 Hewlett Packard - JG517A JG517A HP Msr933 3G Router Router Desktop With 4-Ports Switch. New Bulk Pack. Hewlett Packard - JG517-61001 JG517-61001 HP Msr933 3G Router Router Desktop. New Bulk Pack. Barco - Power Supply for MatrixPRO-II 3G/SDI The R9871081 Power Supply from Barco is designed for use with Barco's high-speed routers MatrixPRO-II 3G/HD/SD-SDI series. Hewlett Packard - JG513B#ABA JG513B#ABA HP MSR930 3G Cellular Ethernet Wireless Router. New Bulk Pack. Cisco - C819G-4G-VZ-K9 C819G-4G-VZ-K9 Cisco 819 Non-Hardened 4G LTE ISR Router - 3G 4G Modem. New Factory Sealed. Cisco - C1921-3G-S-K9 C1921-3G-S-K9 Cisco 1921 Integrated Services Router - 2 Ports - Management Port - PoE Ports - 2 Slots - Gigabit Ethernet - 1U - Rack-mountable Wall Mountable. New Factory Sealed. Cisco - C1921-3G-V-K9 C1921-3G-V-K9 Cisco 1921 Integrated Services Router - 2 Ports - Management Port - PoE Ports - 2 Slots - Gigabit Ethernet - 1U - Wall Mountable Rack-mountable. New Factory Sealed. Cisco - C819G-S-K9 C819G-S-K9 Cisco 819G Wireless Integrated Services Router - 3G - 2 x Antenna - 4 x Network Port - 1 x Broadband Port - USB - Fast Ethernet Wall Mountable Desktop. New Factory Sealed. Cisco - C1921-3G-G-K9 C1921-3G-G-K9 Cisco 1921 Integrated Services Router - 2 Ports - Management Port - PoE Ports - 2 Slots - Gigabit Ethernet - 1U - Rack-mountable Wall Mountable. New Factory Sealed. Cisco - C1921-3G-U-K9 C1921-3G-U-K9 Cisco 1921 Multi Service Router - 2 Ports - Management Port - 2 Slots - Gigabit Ethernet - 1U - Rack-mountable Wall Mountable. New Factory Sealed. Cisco - C899G-LTE-VZ-K9 C899G-LTE-VZ-K9 Cisco 899G 4G LTE 2.0 ISR Router - 8-port - 3G 4G Modem - Gigabit Ethernet. New Factory Sealed. Cisco - C1921-3G-S-SEC/K9 C1921-3G-S-SEC K9 Cisco ISR G2 1921 Router - Modular - 3G 4G Modem - Gigabit Ethernet. New Factory Sealed. Cisco - C1921-3G-V-SEC/K9 C1921-3G-V-SEC K9 Cisco 1921 Integrated Services Router - 2 Ports - Management Port - PoE Ports - 2 Slots - Gigabit Ethernet - 1U - Rack-mountable Wall Mountable. New Factory Sealed. Cisco - C1921-3G-U-SEC/K9 C1921-3G-U-SEC K9 Cisco 1921 Multi Service Router - 2 Ports - Management Port - 2 Slots - Gigabit Ethernet - 1U - Rack-mountable Wall Mountable. New Factory Sealed. Cisco - C1921-3G-G-SEC/K9 C1921-3G-G-SEC K9 Cisco 1921 Integrated Services Router - 2 Ports - Management Port - 2 Slots - Gigabit Ethernet - 1U - Rack-mountable. New Factory Sealed. Barco - MatrixPRO-II 3G/HD/SD High-Speed 3G Serial Digital This is a 16x16 Barco MatrixPRO-II SD/HD/3G-SDI high-speed serial router. It's compact has an extremely slim profile is cost-effective and provides an excellent solution for applications where budget and space are at premium. Barco - MatrixPRO-II 3G/HD/SD High-Speed 3G Serial Digital This is a 32x32 Barco MatrixPRO-II SD/HD/3G-SDI high-speed serial router. It's compact has an extremely slim profile is cost-effective and provides an excellent solution for applications where budget and space are at premium.